Take off on a solo adventure and see the world with a whole new perspective! Every traveller is unique. Some of us prefer local, off-the-beaten path experiences, while others thrive on high-paced adventure. Others still aim to find the world’s best beaches – and stay put for a week or two. Then there are those curious creatures that don’t like to travel at all. Chances are, you know some of them – you may even be related or married to one of them – which may consequently make your pool of travel companions woefully small. 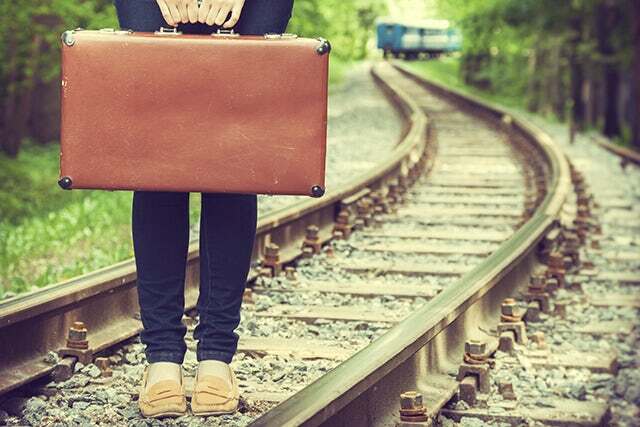 So what do you do if you’re all geared up with no one to travel with? Well, you have two options. Don’t travel at all, or go it alone. If you have a passion for travel and an itch to hit the road (or the beach, if it suits you), why not take off on a solo adventure and see the world with a whole new perspective? For the driven, passionate traveller, it can be difficult to find like-minded friends or family members to tag along. So it’s no wonder that more and more travellers —especially women – are deciding to get out there and see the world on their own. In fact, there has been a 148% increase in the number of women travelling solo since 2008 and women aged 42 or older are twice as likely as men to vacation alone. It’s a growing, wonderful trend that’s allowing more and more women to see the world on their own terms. Where is this solo travel movement coming from? Perhaps it’s the ever-increasing number of resources that offer tips and destinations for solo travellers – many guidebooks and blogs, for example, will offer suggestions or places to meet other lone wanderers. Regardless, the word is spreading and the new reality is that if you push off alone, you will likely meet other solo travellers from around the world – enhancing your experience and extending the horizons of your trip. Ever been travelling with someone – maybe a friend, a husband, or a sister – who wanted to hit the museum for the next audio tour while you wanted to linger at the market? Travelling with another person (or persons), regardless of who they are and how well you get along, is always going to be a compromise of sorts. It’s virtually impossible to be on the same wavelength as your travel companion, and to see and do exactly what you want, when you want. When you travel solo, you can spend your free time at the market bargaining for textiles, or wile away the afternoon at the museum if that’s your preference. The fabulous thing is, it’s totally up to you. Solo travel inspires moments of self-reflection and spontaneity. At the same time, you can share and enhance your experience when you choose to join a small group of like-minded travellers – which is the path many solo travellers are taking these days. You can decide to maximize your alone time, or embrace the feeling of independence that comes with forming new friendships away from home. Call it the best of both worlds – you can revel in the luxury of alone time when you need it, but also enjoy the rich companionship that emerges out of group travel. Meeting new people – a cornerstone of an enriching travel experience – is easy and uncomplicated when you head out on your own. Plus, there’s a good chance you will maintain long-term friendships with your fellow travellers, allowing you to reap the rewards of your solo adventure well beyond your travel dates. Single? Married? Mom (or dad) with kids? Whatever your relationship status or responsibilities back home, travelling solo can offer an opportunity to recharge, reenergize, and re-connect with yourself. Parents typically spend their vacations organizing activities around their children’s needs and desires. Travelling solo means they can focus just on themselves for a while, with no responsibility for anyone else. Travellers with a partner who prefers ‘home’ to ‘roam’ can go at their own pace and experience the freedom and independence of shaping their days according to their own whims and priorities. Single men and women don’t have to wrangle up friends who may not have the same perspective or mindset. There are so many solo travellers out there who are keen to meet up with others who do share a passion for travel and adventure. Travelling solo is a raw, real and invigorating experience. With fewer barriers between you and your environment, you’re more exposed to the people and places around you, and you see, feel, smell and taste things more intensely. What’s more, travelling solo forces you to be independent, confident, and in charge of your own happiness. While this might be out of your comfort zone, that’s exactly the point. Solo travel is an opportunity to dig deeper into yourself, find qualities you may not have known you had, and get to know people you may not have otherwise felt compelled to meet. Travelling is usually considered an outward journey – you reach new destinations and experience new cultures. Travelling alone, while is all of this, is also a remarkable inward journey – one where you re-connect with yourself and tap into new thoughts, ideas and emotions that typically get buried in the muddle of everyday life. So let’s face it… if your options are to travel alone or not travel at all, is there really a decision to be made? Check out some of our incredible tours to get you started!